Since I’ve been directing the Parkallen Sprouts and the Parkallen Community Garden, I’ve been getting a new look from some of my neighbours that I didn’t used to – it’s one that signifies intense garden-related-guilt. Or, “The community garden looks wonderful this year and I feel so badly that I didn’t make it out even once. Maybe next year…” they sadly say with nothing at all resembling hope in their voices. The theme is guilt, shame, and missed opportunity. Parkallen – the thing with gardens is that what you cultivate in them tends to grow. 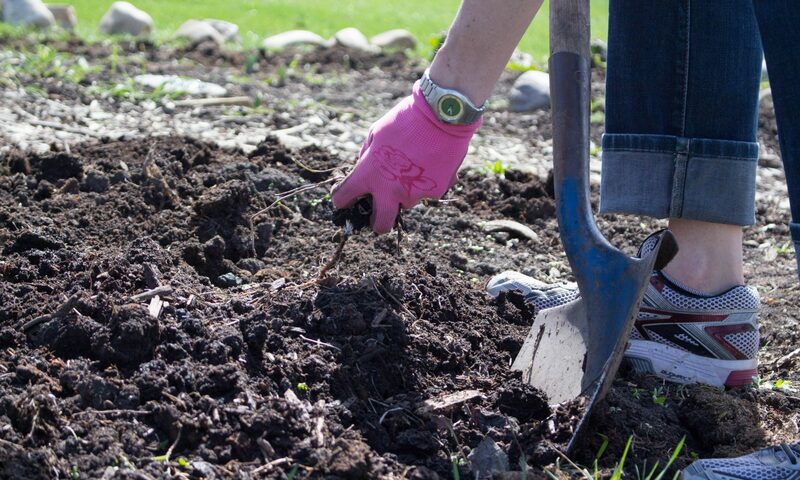 Are you cultivating guilt, shame and regret in your garden? Are you cultivating these things in our community garden? Stop it! The Parkallen Community Garden is a permaculture project and one important element of permaculture is “obtain a yield.” That means the focus is on “getting from” a garden, not simply “putting in” for the sake of effort itself. In an ideal permaculture space, nothing is required from the gardener other than strolling through a beautiful green space, replenishing one’s self while filling a basket with healthy produce. The aim isn’t toiling but taking. The permaculturist always strives to let the soil, the sun and the rain do as much of the work as possible because their space has been planned from the onset to perform in that way. That’s why, for example, the Parkallen Community Garden has swales dug into the slope towards the hockey rink: so the garden can catch and store rain and melt water all on its own. Maximum yield for minimum effort is the end-goal. Parkallen Community Gardeners have been putting in effort to cultivate what’s been growing in the garden but, ultimately, probably less than you think. We’re striving to create a self-regulating space that gives more than it demands. I heeded quite a few warnings when the Parkallen Community Garden was in the planning stages as a communally tended space that everybody would show up at harvest time to take but nobody would be willing to put in the effort. The reverse has tended to be true. We’re civilized people: We’ve read the “The Little Red Hen.” People are reluctant to take from the garden because they don’t feel they’ve put in the requisite effort. My neighbor who regretted not visiting the garden that season could have walked straight there, picked enough for a dinner salad, marveled at the sunflowers, listened to the birds, tossed a dandelion into the weed bucket, tasted the mint, smooched a loved one in the sunshine, called it a season, and left. But she didn’t feel entitled. She hadn’t put enough in to take that much out. It is my sincerest wish that the Parkallen Community Garden be a place you take more from than you give. It would help me in achieving my yield from the garden – the reward and satisfaction of knowing that I’ve helped create a space in my community that replenishes, teaches, feeds and gives; not one that requires more from time-crunched urbanites than they can reasonably afford. One of the reasons I love working with kids in the garden so much is that they have absolutely zero compunction with proudly digging up an armful of potatoes for dinner even though they were swinging on the monkey bars while someone’s mom took twenty minutes in the spring to hill the seed potatoes into the soil. Really, they can teach me as much, or possibly more, about healthy relationships to food as I can teach them. What’s your relationship with your garden? Do you think of it as a place that demands more from you than you can give each season? Do you think of it as a place that should demand more than it yields? Why? Would it benefit you to re-evaluate your relationship with your green spaces? People aren’t for gardens; gardens are for people. Gardens are for feeding people, for relaxing people, for inspiring people and for replenishing people. A space that inspires guilt instead of satisfaction is not a well-designed green space. So pretty please, Parkallen, if you’ve been scattering the seeds of guilt and shame in our community garden, or in your own gardens, just stop. Stop watering the guilt. Stop fertilizing the shame. Stop. Re-evaluate. Let’s cultivate something beautiful.